Ronaldinho has always been a free spirit and known for his outgoing personality. That has not changed now that he has move to Mexico to play in the Mexican league. His quality has not diminished with time and his ability to enjoy himself during his time off has only increased. 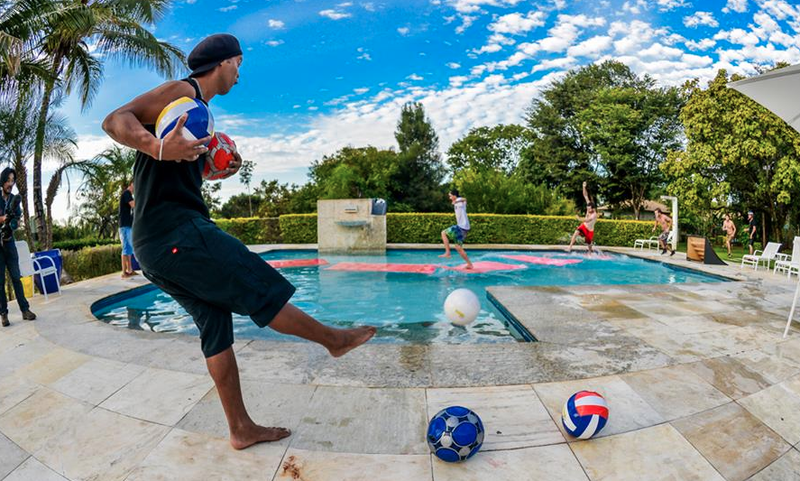 The latest video to be posted on Youtube has Ronaldinho with friends at his house enjoying the day. What better way to enjoy yourself but to get a game going and use your friend’s heads as a target. It is very clear in the video that his ability to put the ball exactly where he wants it hasn't changed at all.